Actress Felicia Chin just keeps going on. 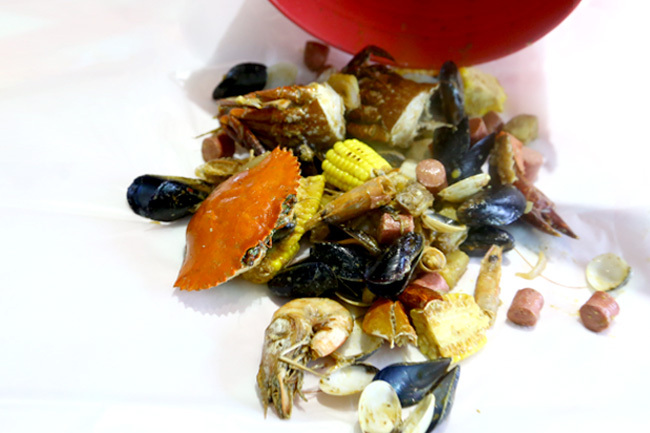 Hot on the heels after opening The Mama Shop with Sora Ma, she has ventured into Louisiana style seafood with a local twist. Bagging a Star Award for Top 10 Most Popular Female Artistes in between. 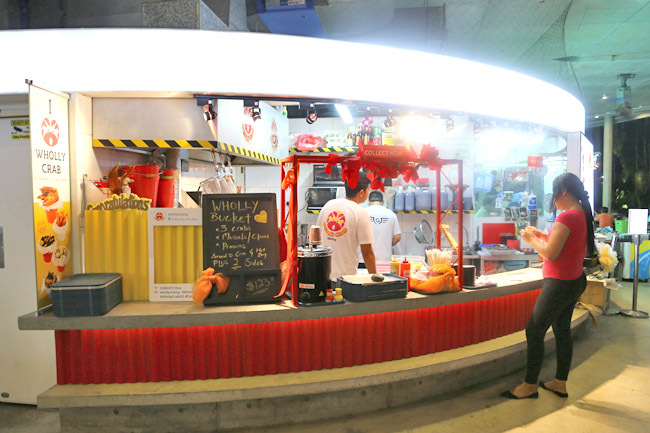 Wholly Crab is found at Satay by the Bay, a mega food court of sorts selling grilled satay and local delights next to Gardens by the Bay. Looking at the crowd during late night, this looks like it is becoming a supper haunt for locals. You probably need a car to get here. Do tell the cab driver NOT to stop at Gardens, but Satay by the Bay. Otherwise, it is some major walking and sweating involved. The name “Wholly Crab” is thought of by Felicia herself, who wanted something fun and easy to remember. The concept itself is a japalang mix of Louisiana seafood (think Crab In Da Bag), Chinese style zhi char, local inspired sauces, with some Western-Japanese sides. Boss wanted to keep prices affordable, after experience dining “somewhere else” which cost the table a couple of hundreds. 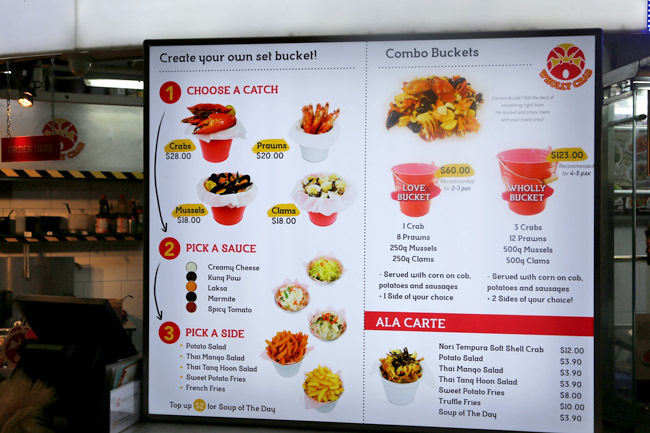 A ‘Love Bucket’ meant for 2-3 people is priced at $60, while a Wholly Bucket for 5-6 is at $123. 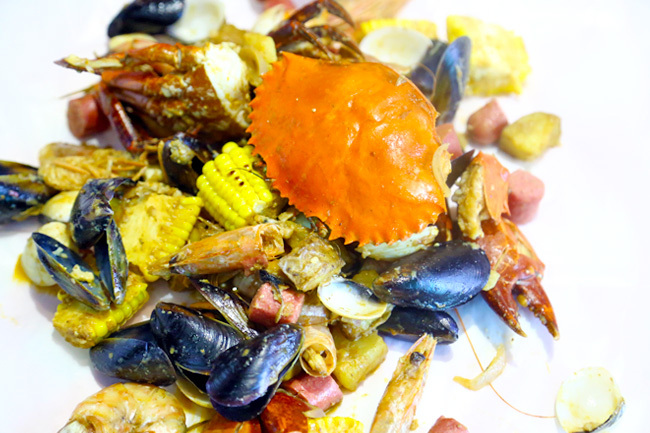 For the smaller bucket, we had 1 crab, 8 prawns, 250 grams of mussels, 250 grams of clams, corn, potatoes, sausages and 1 side dish, such as Sweet potato Fries and Thai Mango Salad. Can’t complain about the price really. 5 sauces were available, and we were recommended the Kung Pow and Laksa. The other 3 – Creamy Cheese, Marmite and Spicy Tomato. 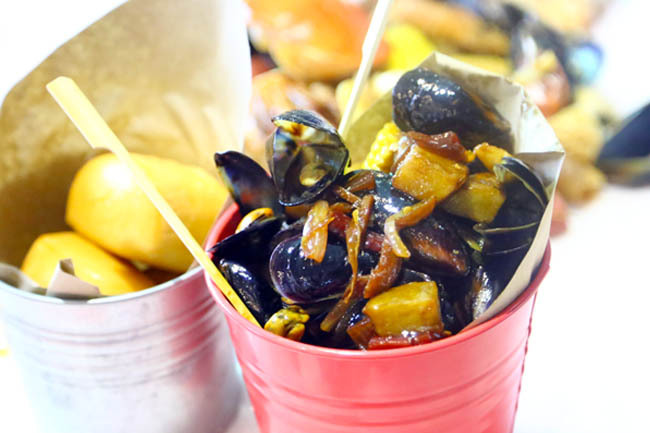 We all preferred the Kung Pow sauce, more savory and sweet than spicy, which enveloped the mussels quite well. Unexpectedly, the popular Laksa sauce was bland, so nondescript that a friend who arrived late couldn’t tell it was laksa at all after eating halfway. 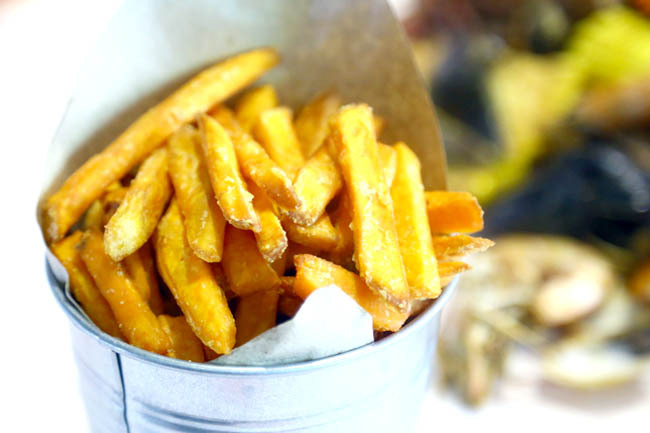 A quick recommendation: More sauce, more ‘zup’, some dipping sauce would help. 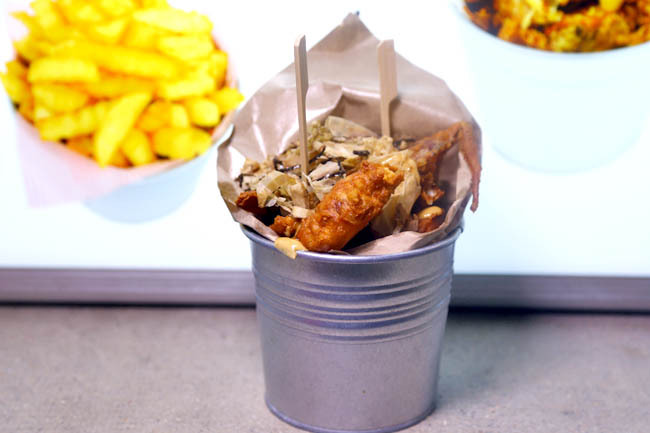 Our favourite was unexpected an additional order, a Nori Tempura Soft Shell Crab ($12.00) – crisp and succulent. Yah, the other seafood such as the prawns, could be, emm… fresher. 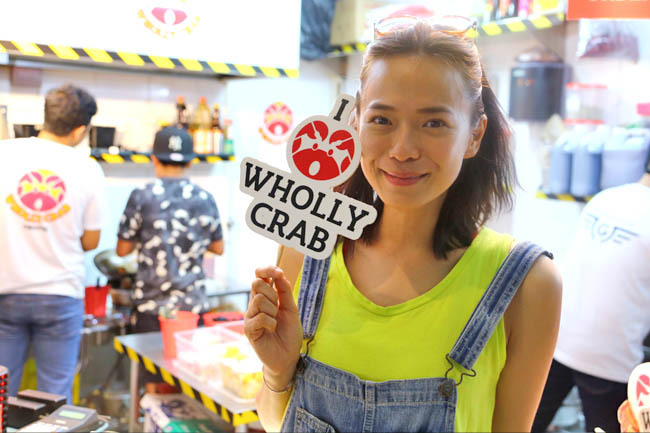 Felicia Chin’s next shoot will be in July, which means she is ‘taking a break’ now and spending some time on her food businesses. Who knows, she could be the one taking your orders?